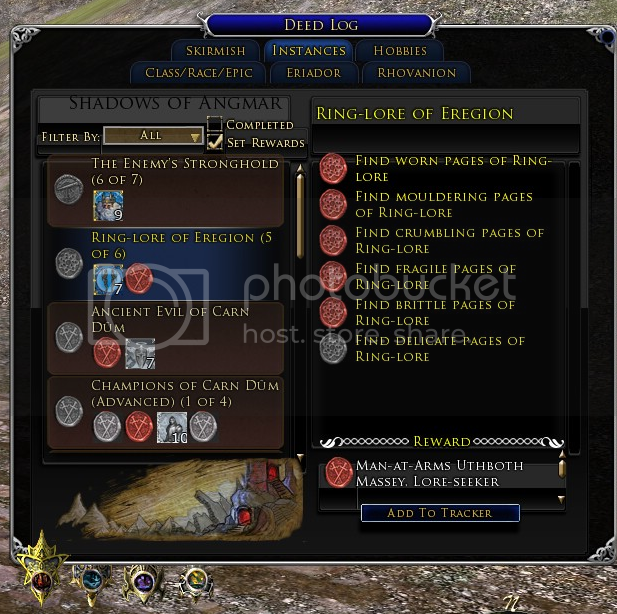 I have been using the interface plug-ins from Lotrointerface.com for a little over five years now, so I've mixed and matched a few different ones. I put this one together using several different interfaces. Some is taken from skindef files while some uses the artwork that people have put here for others to use. Hope you find this interface as useful as I do. 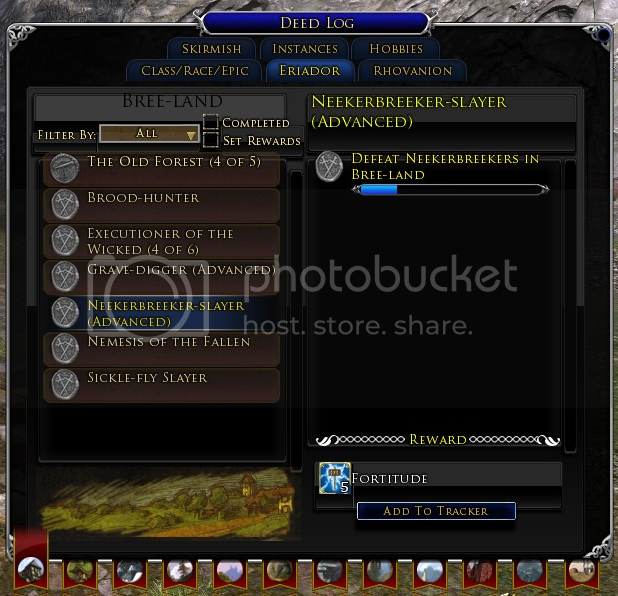 Mounted combat toolbar fixed and quickslot selection button is no longer stuck at the bottom of the screen. Once you Download and unpack the zip you should have a folder named Uth to place in your Skins folder within the UI folder. 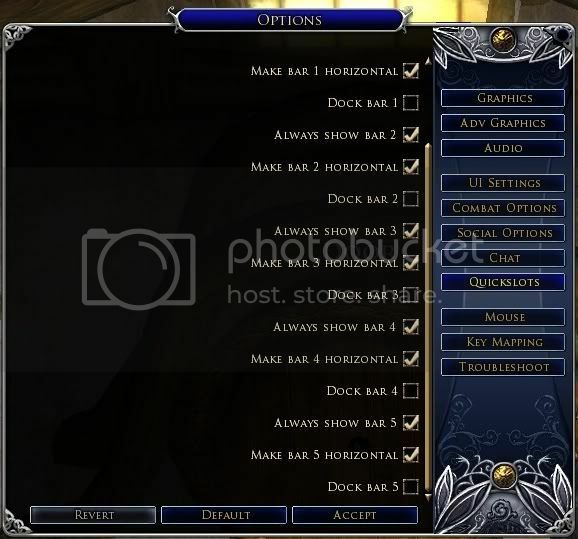 Start up LotRO and go to options and UI settings. Scroll down to Misc or type Current User Skin in search and select Uth. Scroll down to UI Scale and change Toolbar to any setting other than 1.0 because of a bug I wasn't able to fix. I changed Toolbar and Quickslot bars to 0.99 to maintain consistency. Restart your client to refresh your UI to the new setup. Please let me know if you have any problems. 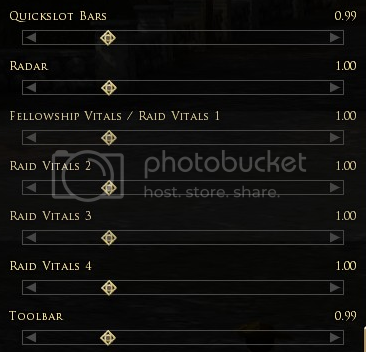 Bar 3 tends to load behind the ui so to bring it to the front just click on a skill. I've run into that problem with most setups I've used. 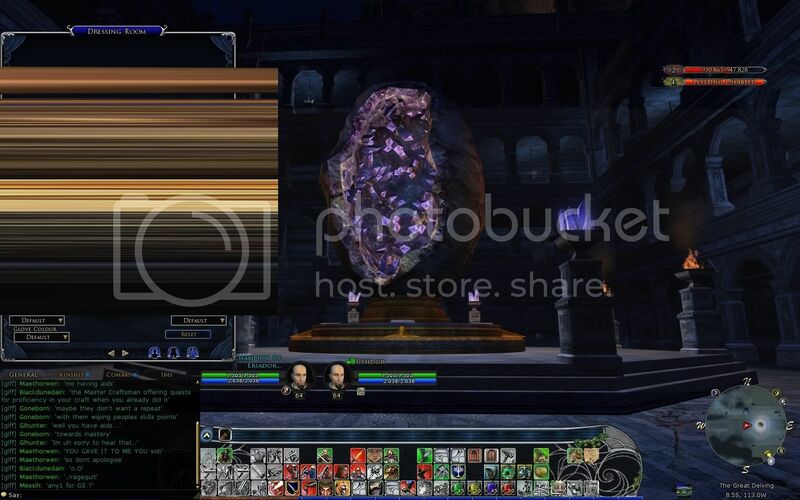 This ui will not work with the 800x600 resolution. Moving the Dressing room all the way to the side will cause a rendering issue. 1.0 Toolbar scale setting breaks the main-bar, so a non-standard setting has to be used. If you chose to move things around a bit you can do a ui save so if you have to reload at a later time you can load your own without having to worry about moving things around again. This can be done with the following command. To load your saved one you just use the following command. This will retain all your settings within your options as well. I added in the hunters focus and the champs fervour. You can see the placement in the following screen shots. 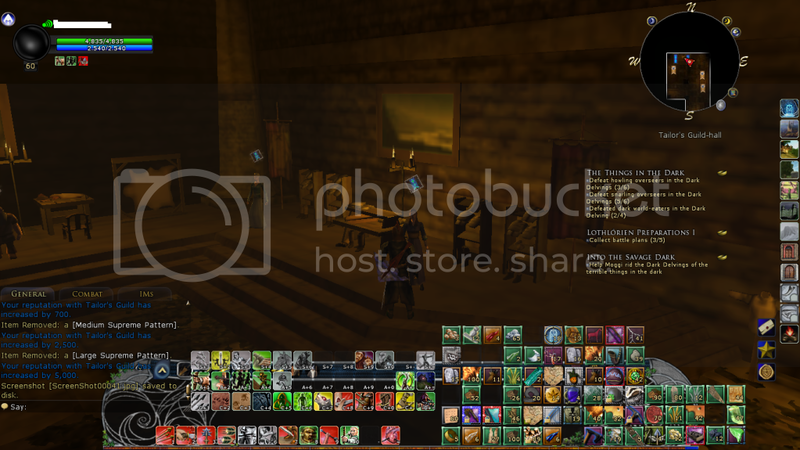 The hunter and champ screen shots are from pre-Mirkwood so they have the old button setup. I used different elements from the following interfaces. 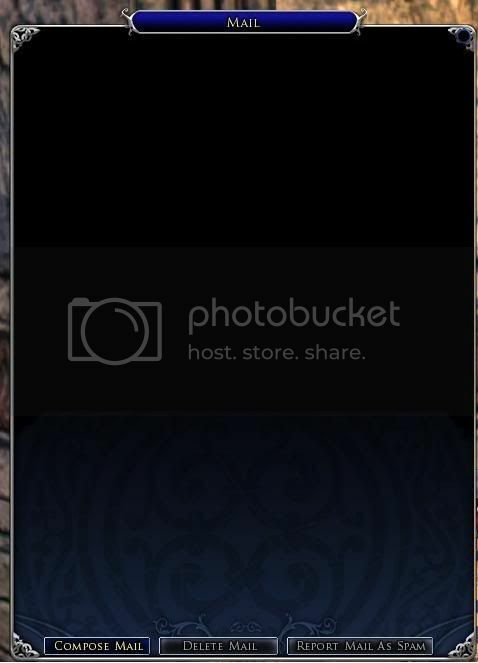 I have added in the coding to make bag 1 on the menu bar transparent. If you wish to have the normal bag button remove the following code from the skindef file. Layout files were modified to not overwrite most of the settings that the user already has in place. It will still unlock and make your skill bars horizontal. UI buttons are still setup to default to bag1 so that they are invisible since skill induction is placed over the left side buttons. Changed the Vitals using the assets from B.G.M Blue V-3 and the patch from Updated vitals for B.G.M Blue V3. Added in the WideCraft panel and made some positioning tweaks. 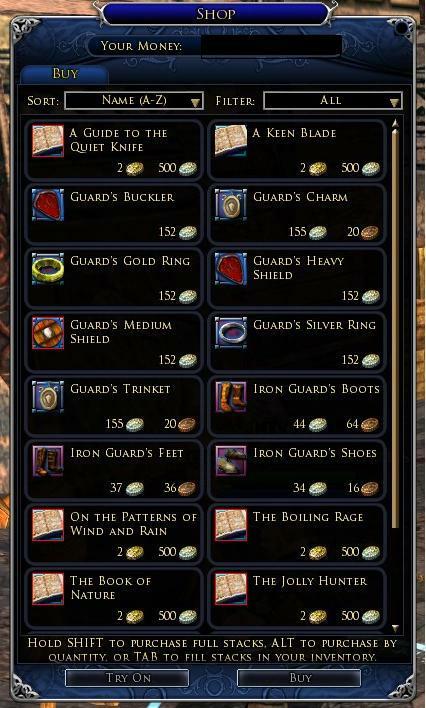 Added in the larger Vendor and Mail from Firefern's CV&D Mod. Changed the Dressing Room over to a standard size for all resolutions using the skin from Daimonui 3.7.2. 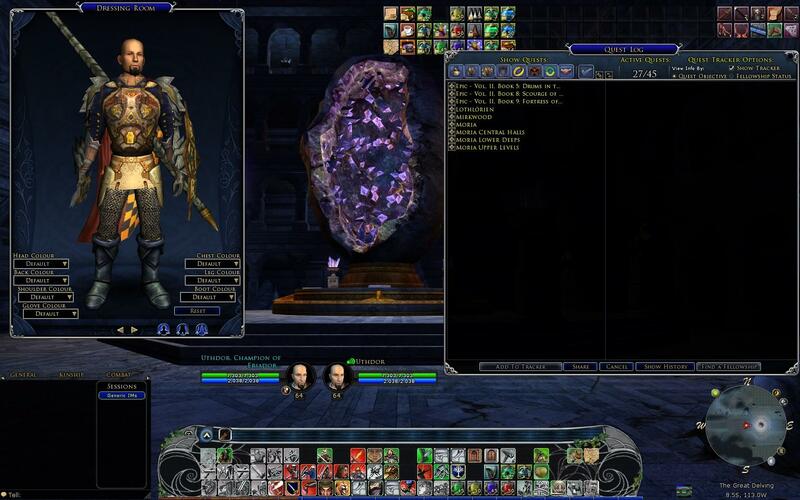 Mixed Ray’s UI and Azure Glass Deed log together. 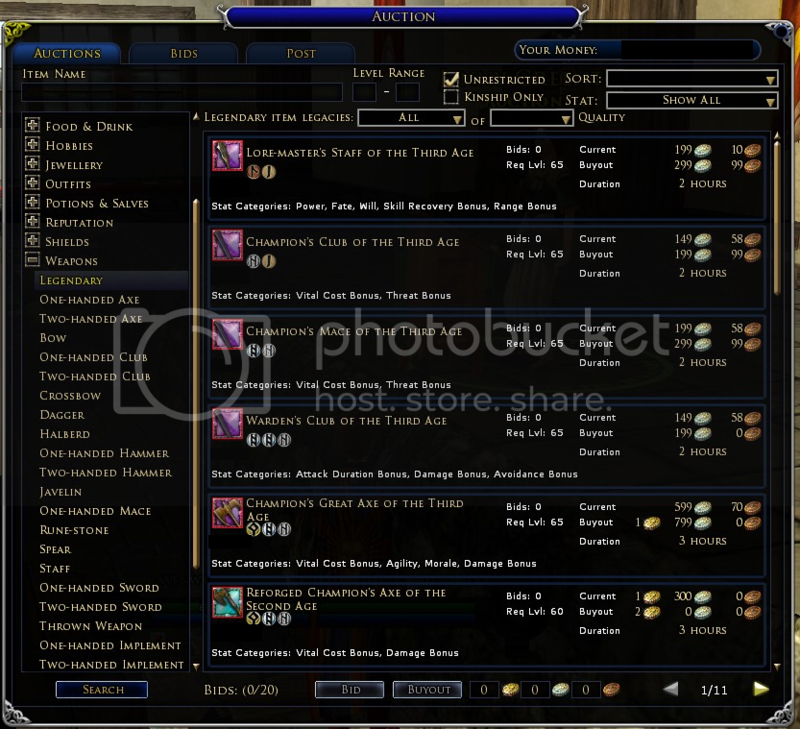 Removed the store button on Mainbar and left it everywhere else, crafting panel and the item advancement panel. First: thanks lot for your great UI, i´ve been using it for a long time! Would be very nice if you could fix this! At this current time the main-bar is broken and I am working on a fix. Some are saying if you change the size of your toolbar (99% or 101%) it will fix this problem, I have tried myself and it has worked. I have been working on a fix and once it's resolved I will put out an update. Sorry for the problems and I hope to have this resolved soon. Last edited by Uthboth : 10-16-2012 at 09:39 AM. You should have load a layout for 1440x900 to have each panels in right places. Last edited by Araco : 02-27-2012 at 07:19 PM. This UI has now been updated. Let me know what you think and if you find any bugs that I missed. Last edited by Uthboth : 10-09-2011 at 02:12 PM. Try that, I don't know about windowed mode as I don't run it. Hey, just want to say that I absolutely love this UI! I'm having a slight problem though: I'm running in Windowed mode at 1280x1024 and the UI has lined itself up all the way to the right of the screen..How can I fix this? Sorry for the delay in responding to the questions. 58, 66, 74, 82, 90, 98, 106, 114, 122, 130, 138, 146. I tried to post the code so you could just overwrite it, but it turned out to be too long to post. Hey, I use 1280 x 800 and I really need to know how to do the modification with X and Y things cuz I dont understand what it says... Can you help me by like telling me what I need to change? Hope you all enjoy the update. As always if you have problems I'll help out as best I can. Hi uth. 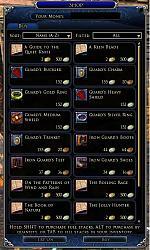 I'm really hoping to get your ui running but am having problem with the quickslots and toolbars. I'm running in 1280x768 and have adjusted the values in the .xml file appropriately. i've undocked all the quickslot bars. Yet after loading and reloading multiple times, the bars are still all over the place. There are the two layout files, uth and uth_1024x768. i need to be loading the second... right? But i don't need to be running 1024x768. You need to undock the bars that you want to move as seen in the following screen-shot. The one bar that you are not going to be able to move is the main bar in the lower left hand corner.